HamiltonBuhl Trios Multimedia Headset with Steel Reinforced Gooseneck Mic - Connect to Any Device! HamiltonBuhl has redefined what a true multimedia headset is! All-in-one and one-for-all, Trios™ headset, easily connects to any of your devices from dual plug PCs to one-plug Chromebooks, tablets and smartphones! Trios™ is the only headset you will ever need to connect with any of your devices, whether old or new, PC or Mac, Chromebooks, tablets, smartphones and media players! The chew and kink-resistant Dura-Cord™ on Trios™ has been uniquely designed to split into the plugs needed to connect to all devices. It will become your go-to solution from first use, eliminating the need to switch headsets. In addition to the exclusive tri-plug Dura-Cord™, Trios™ features deluxe over-ear design, folding, padded headband for easy storage and a steel reinforced gooseneck microphone for maximum versatility. This durable and stylish headset delivers superior sound quality with soft, leatherette ear cushions designed to provide excellent noise-isolation. 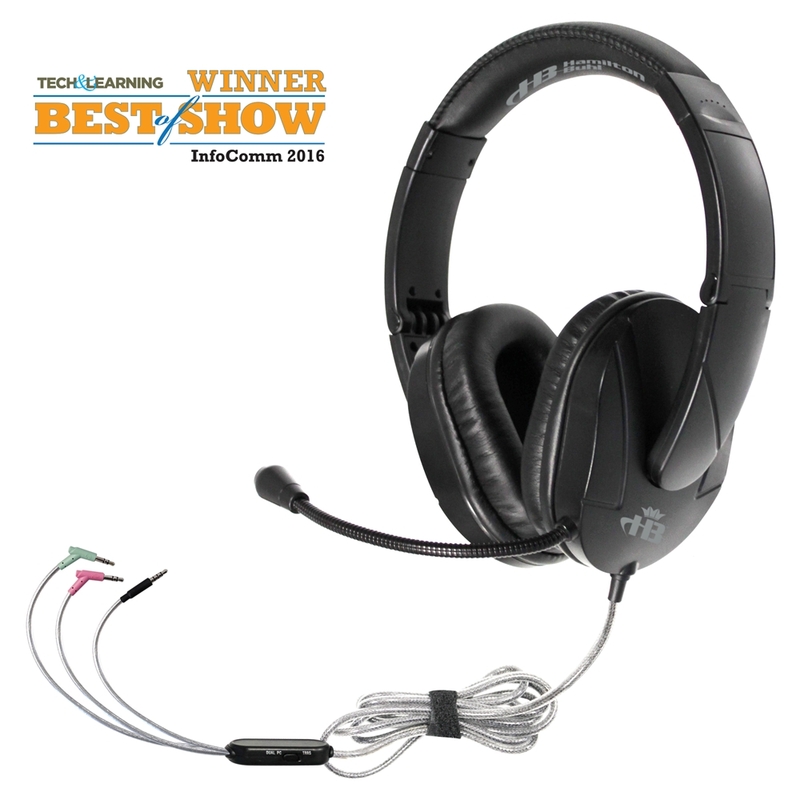 Built to accommodate all devices, Trios™ is the headset that will meet all your requirements!